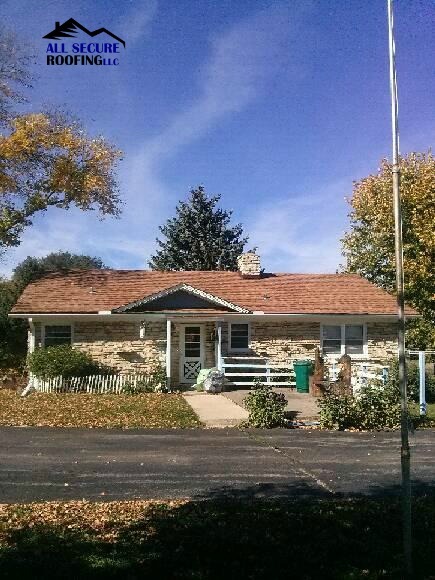 Here is an after photo of a re-roofing project which was completed in Richfield, WI. 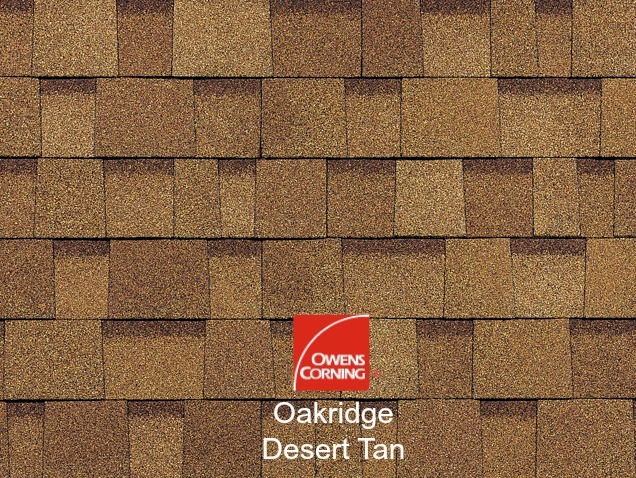 All Secure Roofing installed Owens Corning™ Oakridge, Desert Tan Shingles. 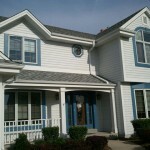 These shingles have a wind resistance rating of 110/130 MPH and an algae resistance rating of 10 years. Click on the photos to see an enlarged image.